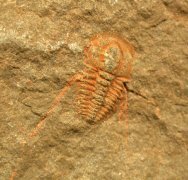 Description: This plate displays a rarely seen example of a trilobite found in the Cambrian deposits of Tassmamte near Zagora, Morocco. 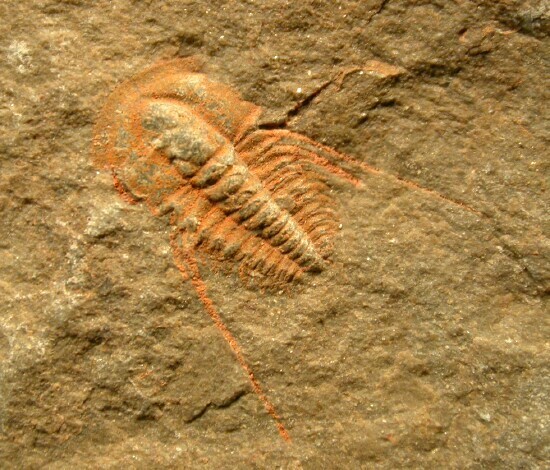 This trilobite is a member of the Order Redlichiida, Suborder Olenellina, that is believed to contain the oldest trilobites, and is a most unusual positive/negative example of this rarely-seen taxon. 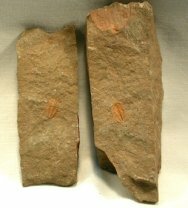 While others from the region are sold in the trade as Fallotaspis, this one is a true example of the type with many fine details evident. 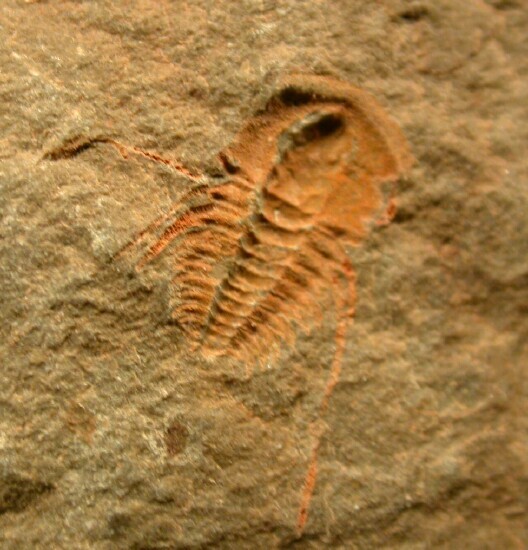 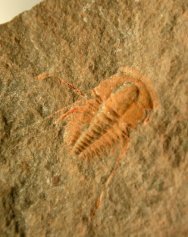 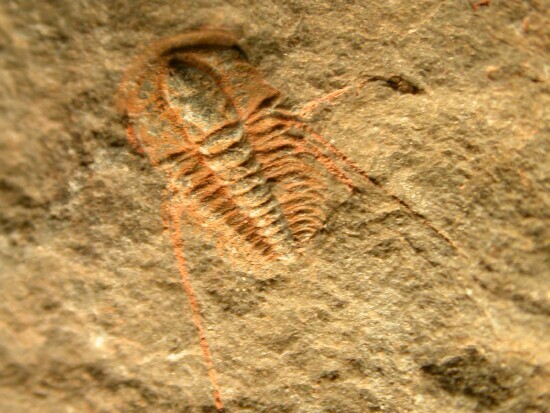 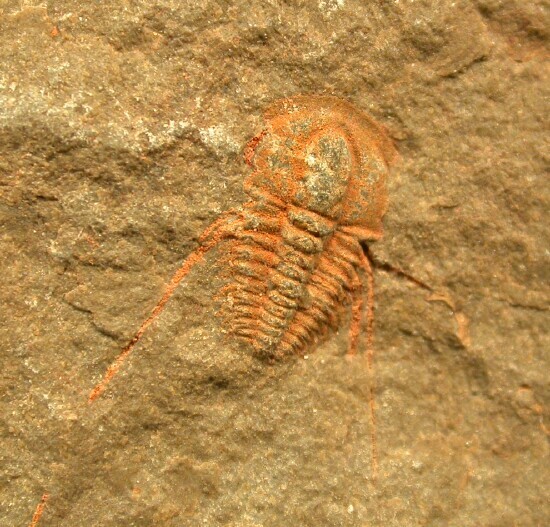 Fortey (2002) cites this trilobite as the oldest trilobite known in the fossil record. 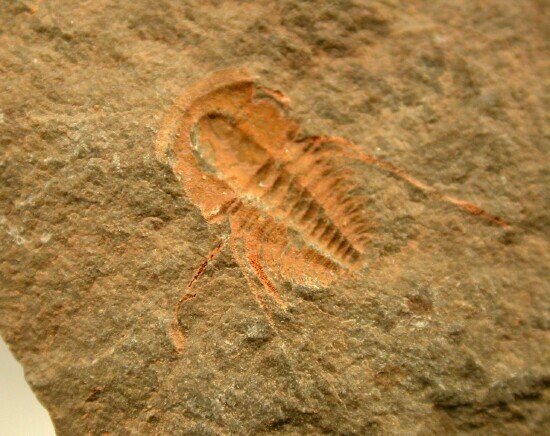 Consequently, its rather large holochroal eyes are considered by some as the oldest sophisticated eyes in the fossil record.